Is this what you thought a flying car would look like? Boeing's NeXt program has begun testing its prototype to advance the safety and technology of urban air mobility. 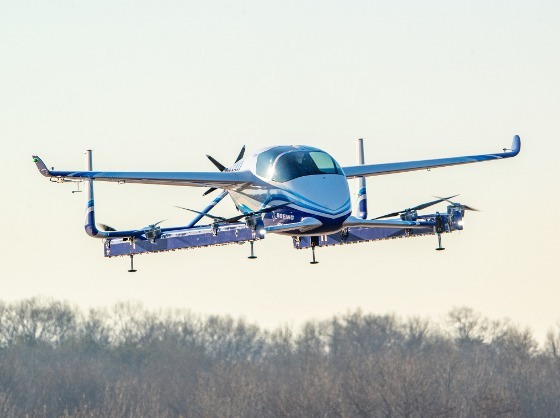 First field tests of Boeing's electric vertical takeoff and landing autonomous passenger air vehicle (PAV) prototype took place on Jan. 22 in Manassas, VA. Boeing NeXt, which leads the company's urban air mobility efforts, utilized Boeing subsidiary Aurora Flight Sciences to design and develop the electric vertical takeoff and landing (eVTOL) aircraft. Aurora will continue testing to advance the safety and reliability of what it calls "on-demand autonomous air transportation." "This is what revolution looks like, and it's because of autonomy," said John Langford, president and chief executive officer of Aurora Flight Sciences. "Certifiable autonomy is going to make quiet, clean, and safe urban air mobility possible." The PAV prototype completed a controlled takeoff, hover, and landing during the flight, which tested the vehicle's autonomous functions and ground control systems. You can clearly see a dummy (non-human) in the passenger seat in the images released to the press. Powered by an electric propulsion system, the PAV prototype is designed for fully autonomous flight from takeoff to landing, with a range of up to 50 miles (80.47 km). Measuring 30 ft (9.14 m) long and 28 ft (8.53 m) wide, its advanced airframe integrates the propulsion and wing systems to achieve efficient hover and forward flight. The test flight represents the latest milestone for Boeing NeXt. The division works with regulatory agencies and industry partners to lead the responsible introduction of new mobility ecosystems and aims to ensure a future where autonomous and piloted air vehicles safely coexist. 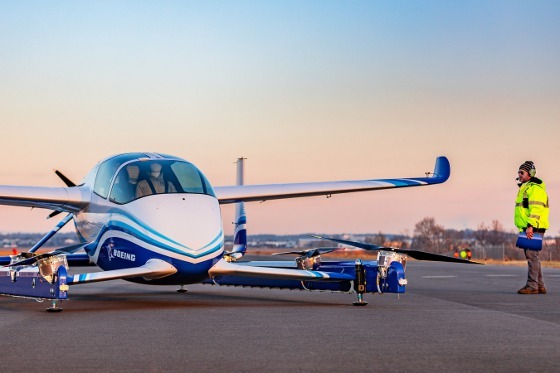 In addition to the PAV, the Boeing NeXt portfolio includes an unmanned fully electric cargo air vehicle (CAV) designed to transport up to 500 lb (226.80 kg) and other urban, regional, and global mobility platforms. The CAV completed its first indoor flight last year. The developers said it will transition to outdoor flight testing in 2019.